The country I have chosen is Japan and here are two reasons why I have chosen this country. 1. I had always wanted to go there and try their food out but also It is interesting to learn about It. 2. It has many sports that I can't wait to try. Welcome to the Summer Learning Journey. We are so happy that you have decided to join us this year. We can't wait to blog with you about Japan over the next month. Japan is a truly spectacular country. It has a rich history and, at the same time, is quite modern and cutting edge. I had the opportunity to live in Japan a few years ago and I loved it! It was an interesting blend of the old and the new. The food was also really amazing. I learned to love sushi while I was there but I have to admit that the people of Japan eat a lot of raw seafood that I just couldn't seem to eat. One of their favourites is raw octopus (nakji). They like to eat it with soy sauce. Do you think that you would like to try it? 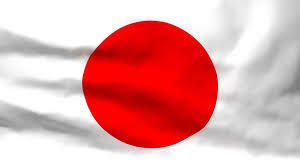 I hope that you will really enjoy learning all about Japan over the next few weeks. There is so much to learn. Let's get started! I'm Mark, a teacher working on the Summer Learning Journey with Rachel. I am so happy you have chosen Japan as I have traveled there several time! I really enjoy it there. I'm looking forward to reading what you discover about it. Probably one of the coolest thing about old Japan was the Samurai the their dramatic feudal history. I visited a really famous castle in Osaka and it had an amazing story of a war where Samurai tried to protect their lords family. It was intense. And I was walking over the exact same stones they fought on hundreds of years ago! I don't really like raw Octopus like Rachel, I prefer Takoyaki, which has octopus in it but is way tastier!